Bobbie Draper (Frankie Adams) and Sa’id (Dewshane Williams) prepare for a Martian battle in The Expanse. What audiences tend to love most about science fiction is the fact that the realm of possibilities is endless. Science fiction is known for carrying fans into unfamiliar worlds, unexplored dimensions, and uncharted territory. Both characters and storylines defy the norms of the world we know and live in; however, social dilemmas, emotions, and personality traits often stay the same. As an actor, science fiction remains one of the most unique, interesting genres to explore. For Dewshane Williams, this is because it is a genre that allows us to determine what human beings are capable of, be that within the constraints of modern life as we know it, or beyond. Besides science fiction, Williams has familiarized himself with a number of different genres and storylines throughout his career. For instance, Williams mastered the art of drama through his stellar performance of Frank in the film Dog Pound, which portrays the life of three juvenile delinquents who are sentenced to a correctional facility where they encounter gang violence, death, and harassment from staff and other inmates. Contrastingly, Williams immersed himself into the wonderful world of comedy in 2012 for the film The Story of Luke about a young man with autism who is thrust into a world that doesn’t expect much from him. Beyond that, Williams has tried his hand at action films, thrillers, mysteries, horror stories, and much more. There are few limits to what he can achieve when he puts his mind and his skill set to work. In 2015, Williams earned himself a role in Universal SYFY Networks’s hit series, The Expanse as Corporal Sa’id. The show follows the lives of a police detective a spaceship crew who discover a conspiracy, the first officer of an interplanetary ice freighter, and an earth-bound United Nations executive director, who slowly discover a conspiracy threatening the Earth’s rebellious colony on the asteroid belt. Between Williams’ fascination with space travel and Sa’id’s passion for serving others, Williams became enthralled with the project. In the series, Sa’id serves as part of an elite Marine Firing Squad; however, what Williams respected most about his character was embedded within Sa’id’s devotion to his planet. His willingness to save his planet inspired Williams and motivated him to adopt every trait and mannerism that accompanied that level of selflessness. Fortunately, one of Williams’ greatest attributes is his ability to transform himself into the character at hand. For some actors, identifying with a specific style of acting comes naturally; however, for professionals like Williams, it is impossible to categorize himself. He does not act according to a specific set of styles or rules. On the contrary, his versatility allows him to adapt himself to a variety of different emotions and character traits. “The story of this show is so important because we live in an age of Space X and interplanetary travel. I think it is important to embrace the possibilities that our future holds. The concept of space travel and exploration is very real. We’re doing it now, which is incredible. This show, in a way, sheds light on what we may go through as an evolving species. It shows what we may be capable of doing; both positive and negative. Not to mention, most of the concepts in the show are scientifically possible. For all of the future space explorers out there, this might be the inspiration they need to take us where no one has gone before,” gushed Williams. Dewshane Williams recording voiceover work for The Expanse virtual reality Game Battle For Mars. As an avid science fiction fan, Williams loved getting into character and immersing himself in the costumes and props on set. When he was being fitted for his costume, Williams noticed something familiar about the design and upon inquiring about their origin, he learned that they were made by the same company who produce Iron Man’s iconic suit. His enthusiasm about the project grew with each day on set and the more he explored the script, the more he realized the potential that the storyline held. In fact, the show’s VFX Supervisor, Bob Munroe, took notice of Williams’ devotion to the project and solicited his help to act as the lead for a virtual reality video game based on the show’s premise. Williams was extremely humbled about the possibility of expanding The Expanse’s presence in the world of science fiction and eagerly accepted the offer to work on the video game, The Battle on Mars. It comes as little surprise, therefore, that Munroe was equally as thrilled to have Williams on board. “The moment I met Dewshane, I knew he was a rare talent. I had such a great experience working with him that I later enlisted him to star in our virtual reality game. Considering how much VFX was required while shooting our opening scene on mars, Dewshane had to exercise a lot of patience. Not to mention, he had to wear a 40-pound suit on a hot day. It would’ve been very easy to complain but he never did. Instead, his generosity and attitude made him a standout. When I had the opportunity to create a video game for the TV show, he was the first person I called. His enthusiasm is so contagious,” said Munroe. Now finished its second season, The Expanse has established a strong following, as well as a large amount of recognition in the industry. It has garnered a number of award nominations, as well as a win for Best Dramatic Presentation at the Hugo Awards in 2017. If you are curious to see Williams in action, as well as to see what the show’s hype is all about, start watching The Expanse now and stay tuned for the premiere of Season 3 in 2018. Top photo: Dewshane Williams in the Virtual Reality Game “The Expanse: Battle on Mars”. From his role as a cunning and egotistical prisoner who is hated throughout the kingdom for killing the king’s son in the mythological drama series “Olympus”, to a dark and brooding demon in the premiere episode of the hit series “Supernatural” season 10, Nigel Vonas is an actor whose ability to tap into dark and meaty roles has put him on everyone’s hot list. A shoe in for the bad guy role, the Canadian born actor has taken on an impressive list of characters over the years, appearing in practically every hit series on network television. Audiences across North America and much of Europe have also had the opportunity to watch Vonas display his dynamic talent as a natural bad boy on screen in the Leo and Prism Award winning series “Arrow,” the Primetime Emmy nominated sci-fi series “Falling Skies,” FOX’s “Almost Human,” Showcase’s Gemini Award winning series “Continuum,” the action packed crime drama “True Justice” and many more. In the past decade Vonas has transformed himself into the skin of hardened criminals, hired guns, unscrupulous thieves and mysterious demons– to put it simply, any character known for striking fear in onlookers is one that Vonas has probably brought to life at one point or another in his career. In season one episode nine of Syfy’s “Olympus,” appropriately titled “Pandora’s Tomb,” Vonas gave a brilliant performance acting alongside Graham Shiels (“Guardians of the Galaxy,” “Yes Man,” “General Hospital”) who plays King Aegeus and Wayne Burns (“Murdoch Mysteries,” “Mr. 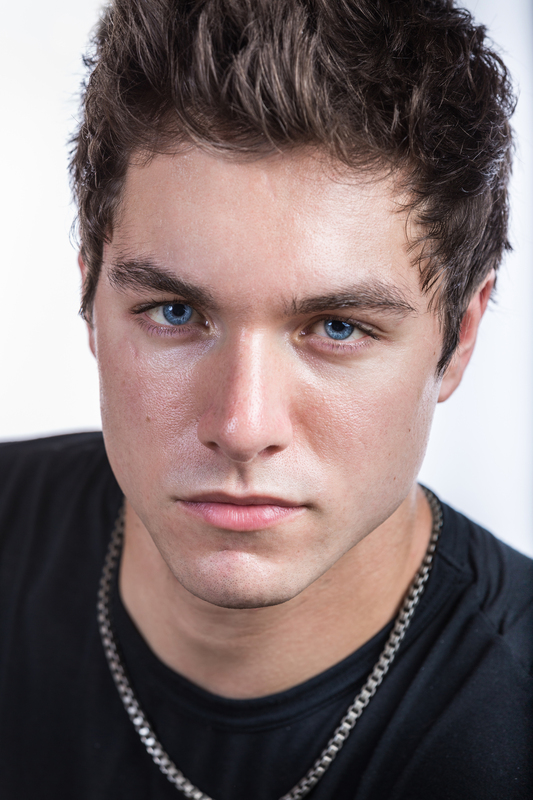 D”) who plays Aegeus’ son Lykos. When Lykos, who is merely trying to protect his father and help him keep his identity a secret as he sits in prison, gets into a heated brawl with Vonas’ character, things take a turn for the worse for Lykos, who is clearly no match for Vonas’ character and is ultimately killed by him. So much can be said about actors and the methods they explore in order to prepare for a given role. From adapting his posture to creating the right mannerisms to fit his characters, the amount of effort that Vonas has put into crafting his believable bad boy image in all of these characters is easily overlooked due to the fact that he is just so good at it. Aside from just being a talented actor though, Vonas’ humble nature and ability to trust and hold space for his fellow actors, allows true connections to form on screen, and is one of the reason why he has become such a success over the years. Getting his start in Vancouver B.C, back in 2002, Vonas quickly discovered that acting is what he was meant to do. His dedication to his craft and the relentless drive to push himself to grow helped his career skyrocket with astonishing speed. “I work very hard at my craft in order to be ready for any acting opportunity that comes my way. I learned very early in my career that you better be ready when the door opens, or you may miss out on something very big,” explains Vonas. Anyone who knows Vonas personally will recognize beyond a shadow of a doubt that the actor is the exact opposite of most of the characters he plays; but for him, that is all part of the excitement of acting. His role as Cisco in Ron Oliver’s vampire horror film “Thralls” is the perfect example of just how dedicated Vonas is to abandoning himself and fearlessly tapping into his character, no matter how repulsive they may be. Starring alongside Golden Globe nominee Lorenzo Lamas (“Grease”), Leah Cairns (“Interstellar,” “88 Minutes”) and Siri Baruc (“Writer’s Block,” “Law & Order”), Vonas portrayed his womanizing character Cisco perfectly. Not only did he turn him into a character that audiences easily love to hate, but Vonas’ ability to show his character’s over the top cocky side also allowed the female vampires’ witty, dominating and all around superiority to shine through effortlessly. Being a great actor is more than just being able to give a great performance, it’s about being able to hold space for other actors, to trust them and give yourself to the story with vulnerability– and Nigel Vonas is one of the rare few who is able to do this with total grace. Up next for Vonas is FOX’s highly anticipated revival of the television cult favorite “Prison Break,” which went off the air in 2009 and is slated to return to television for its fifth season at some point in spring 2017. The actor has already begun shooting episodes for the new season with the rest of the cast, and although little has been disclosed, we do know that Vonas’ recurring role on the show will draw upon his talent for playing the kind of role that very few will want to mess with.